Yeovil Town win 5-4 on penalties. 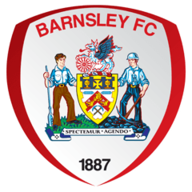 Adam Hammill made a fairytale return to Barnsley, scoring a brilliant late winner as the Tykes came from behind to end a dismal six-game losing run to beat York 2-1 in the Northern Area quarter-final of the Johnstone's Paint Trophy. Under-fire Barnsley boss Lee Johnson punched the air in delight as Hammill's stunning 83rd-minute strike flew into the top corner and his decision to bring back the Oakwell hero could well be the catalyst that turns their fortunes around. It was a different story at half-time though, after Michel Coulson's brilliant free-kick put York ahead, but after Ben Pearson levelled, the stage was set for Hammill to take the plaudits. Fellow debutant Ivan Toney sent a skidding drive just wide after nine minutes, before Lloyd Isgrove's effort skimmed the top of the York bar. Coulson then produced a sublime piece of finishing after 40 minutes to put York in the driving seat, curling home a stunning free-kick into the top corner from 30 yards. A solid period of pressure brought Barnsley an equaliser after 67 minutes when Pearson bundled the ball in at the back post after Hammill had swung over an inviting cross. 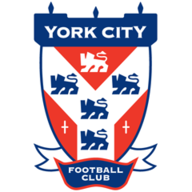 York nearly went 2-1 up when sub Anthony Straker charged up field and crossed for Vadaine Oliver, who swivelled and fired straight at Adam Davies from five yards. Isgrove met Hammill's cross six yards out and with the goal at his mercy stabbed wide before Hammill's brilliant run and finish finally ended Barnsley's wait for a win.